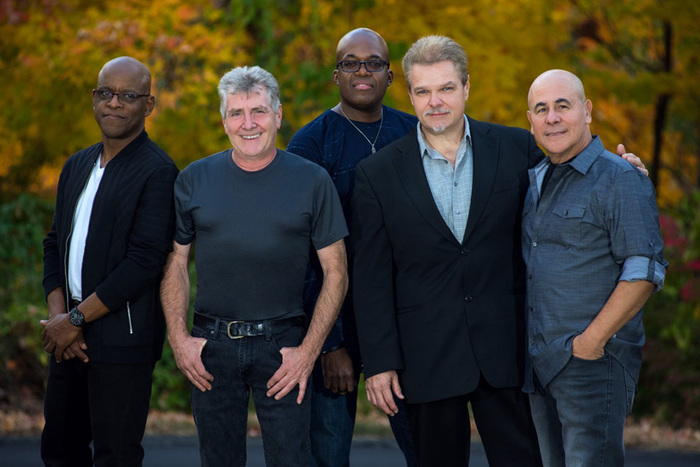 Contemporary jazz icons, Spyro Gyra shows no sign of slowing down. Over the last 40+ years, they have performed over five thousand shows, released thirty-one albums (not counting “Best Of…” compilations) selling over ten million albums while also achieving one platinum and two gold albums. Although few acts have accomplished this type of record, they have done it by constantly challenging themselves as is evidenced by their last studio release “The Rhinebeck Sessions,” which was written and recorded over three days in the studio. Their latest release, “The Best Of The Heads Up Years,” serves as an ideal touchstone for the newcomer to the Spyro Gyra experience as well as the long-time fan. Since the 1970s, the band has built an enormous following via their rare blend of virtuosity, stylistic range and accessibility – not to mention their tireless commitment to touring on virtually every continent on the planet. A wonderful concert to see in the intimate setting of the Studio Theatre.